Sailing Associates, a marina near Chesapeake Bay, gives you the choice of storing your vessel in a spacious deep-water slip (up to 12’ MLW) or a secluded mooring in our hurricane safe mooring field. Find out why so many Maryland boat dealers recommend our Maryland marina. All slips have boat length sturdy finger piers for easy boarding access. Extra wide fairways give way for safe entry into your slip when returning from sailing adventures. Various slip sizes and floating docks accommodate dinghies to world cruisers to catamarans with sufficient electric to all locations. Our moorings host vessels from small day sailors and run-abouts to large cruisers. Easy access to our mooring field makes it enticing for boaters that wish to experience the private feeling of ‘being at anchor’ in a safe environment. Special rates apply to all seasonal mooring customers that wish to spend a night or two at the dock. De-icers at our docks and low salinity levels permit our customers to extend their cruising season and avoid unnecessary haul outs and less bottom paint build-up. Many SAI mooring and slip holders choose to leave their vessels at our docks during the off-season and can therefore enjoy Sassafras boating during the late fall and early spring. Dinghy storage for slip holders and mooring customers are available throughout the marina at no additional cost. For those that wish to secure an easy access floating dinghy space, there are several available at a nominal fee. All marina amenities are available for slip and mooring customers as well as any visitors that wish to spend a night or few! *WE HAVE LOWERED SOME OF OUR RATES AND OFFER SPECIAL RATES FOR SMALL BOATS!! eaters, dinghy storage for one dinghy or kayak on any land rack, air conditioned shower house, picnic areas, jungle gym,parking for up to two vehicles and wireless internet. Towing, lift fees and hauling labor are extra. *Mooring fees include dinghy storage for one dinghy or kayak on any land rack, land facilities and parking for up to two vehicles. *Locker rental runs concurrent with vessel storage period. ** There will be additional charges for: air conditioners, heaters, live aboards, 50 amp cords or second shore power cords. Our storage fees reflect the discounted 3% cash or check transaction rate. 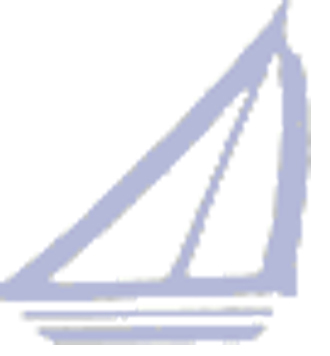 Copyright 2011: Sailing Associates, Inc. Maryland Marina. All rights reserved.